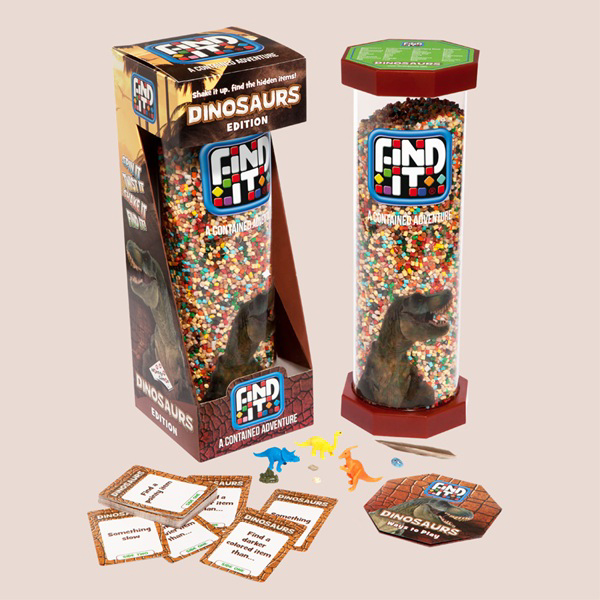 The Find It® Dino hidden object game features a fun dinosaur theme with over 40 unique items in a collection of earth toned colored pellets. This is an exciting hidden object game that is great for traveling with its enclosed pieces that never get lost! Package includes the Find It® Dino hidden object game, playing cards and Ways to Play sheet. A family game for one or more players to enjoy whether you are 8 or 98!